Whether you want to change your YouTube name for better recognition in video comments or need to rethink your YouTube channel's brand name, trying to figure it all out by yourself can be confusing, frustrating and time consuming alot. Thankfully, the process is relatively quick and simple when you know the steps to follow. YouTube enables you to change the name of your channel in two different ways. If you prefer to keep your YouTube channel separate from your Google Plus account, you can make the name change within the advanced settings of YouTube. The only drawback with this method is that your username will remain the same. Only the channel page will display the updated name. If you want to change the name of your channel and username, you need to link your YouTube account to the Google Plus social network. Once linked, your YouTube channel and username will match whatever display name you use on Google Plus. 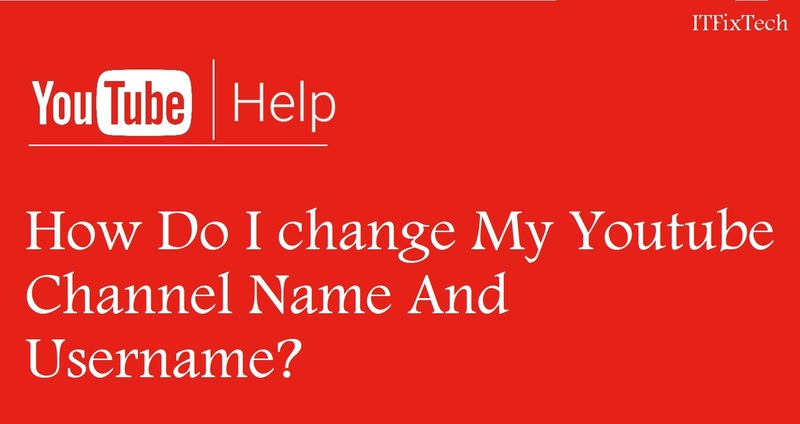 Here is step by step, updated, and easy guide on how to change your YouTube Channel Name And Username. Navigate to YouTube and sign into your account. Click your username, and then click "YouTube Settings." Click "Disconnect Google+ Profile" in the name section. If the link reads "Link Channel with Google+" instead, then you can skip this step. Click your username, and then click "Video Manager." Click "Channel Settings" and then "Advanced." Click "Change" beside the current YouTube name, and then enter the YouTube channel name of your preferences, and click "Save." Click "Link Channel with Google+" if your account is not already connected to Google Plus, and then click "Save." Navigate to the Google Plus home page (link in Resources). Click your profile picture, and then click "View Profile." Click your name to edit the display name for your Google Plus profile. Update the name fields with the name you want to display on YouTube, and then click "Save." The update process may take a few minutes to show up on YouTube.